We always like to try something new between Christmas and New Years Eve. It’s a great way to end the season of cocktails and cookies. We have never tried a Soul Cycle class and honestly neither of us had done straight cardio for at least six months. (Disclaimer to all our cardio crazed women out there. Stop running, spinning, doing the elliptical for hours a week. Pick up some weights and clean up your diet!) Since we were enjoying Sunset Beach for a few days we found a class in Newport and didn’t hesitate to sign up! 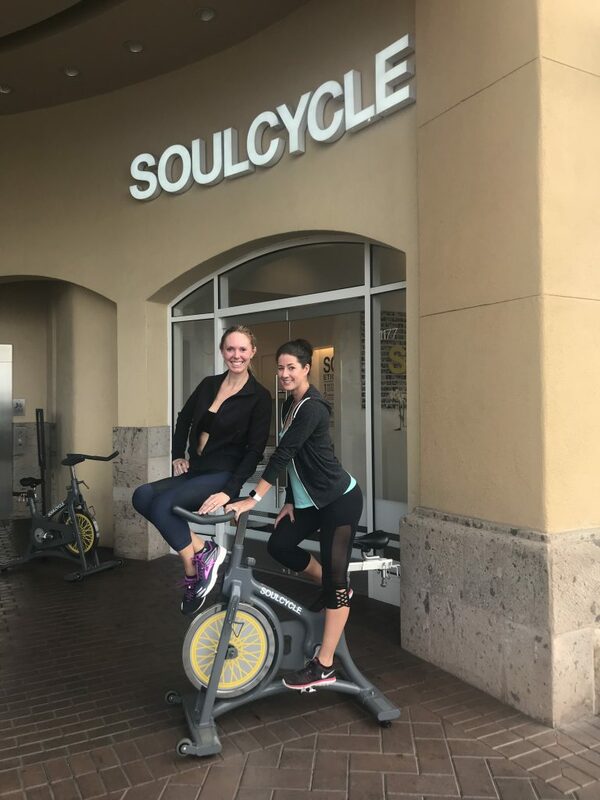 For newbies they don’t really give you much information so we will break down the do’s and don’ts of Soul Cycle. – do bring LOTS of water. They sold Smart Water at the front counter if you need more, plus their drinking fountain had a water bottle refilling station. – wear a sports bra and no shirt. Don’t be ashamed of your body! It’s so dark anyways no one will even notice! -they do provide cycling shoes with the cost of the class (you have to wear cycling shoes because of the type of bikes they have). If you are unfamiliar with these types of shoes I recommend practicing snapping in and out of the pedals a few times before the class starts! – don’t bring your phone in thinking you can snap a selfie or group picture. Take the pictures before the class so you aren’t all sweaty and pink like us below! The instructor was great and had so much energy she might have kept up to Nicole’s two year old. 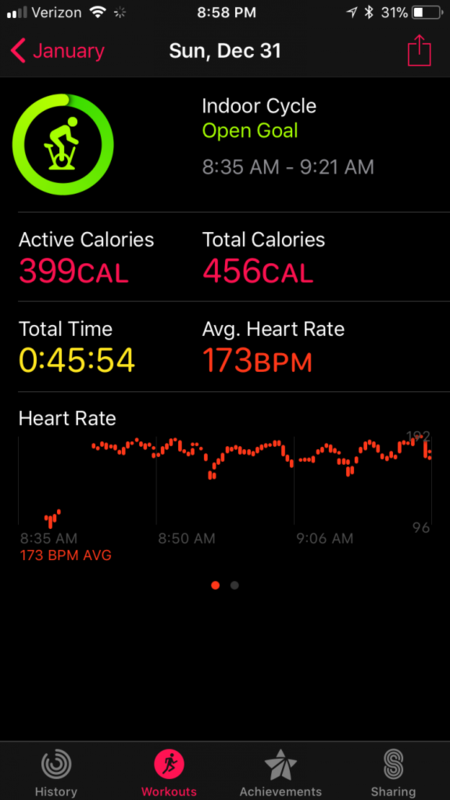 The music was motivating but the class was extremely hot. Overall we got a great workout in that was unlike anything we had done before. Think night club meets high end spa with dim lights and candles! We were surprised that neither of us were sore the following days. We might have taken it a little easy as who wants to be the one who gets sick in a spin class? Overall the class was fun, but we wouldn’t sign up for a monthly dose of classes. 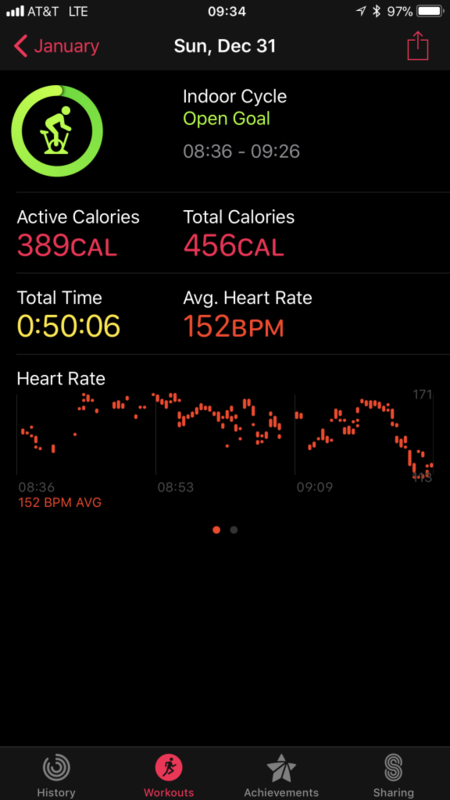 We will stick to our HIIT workouts that burn just as many calories and in th same amount of time!